Product Description: The I'm From Ginseng Serum is a nourishing anti-aging serum. 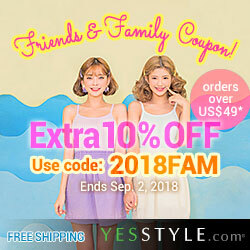 It is formulated with 7.89% concentrated ginseng extract which can help to enhance blood circulation, increase skin elasticity, replenish the necessary nutrients in the skin, smooth and soften the skin, purify the skin with its antioxidants, and provide your complexion with a healthy and lively look. 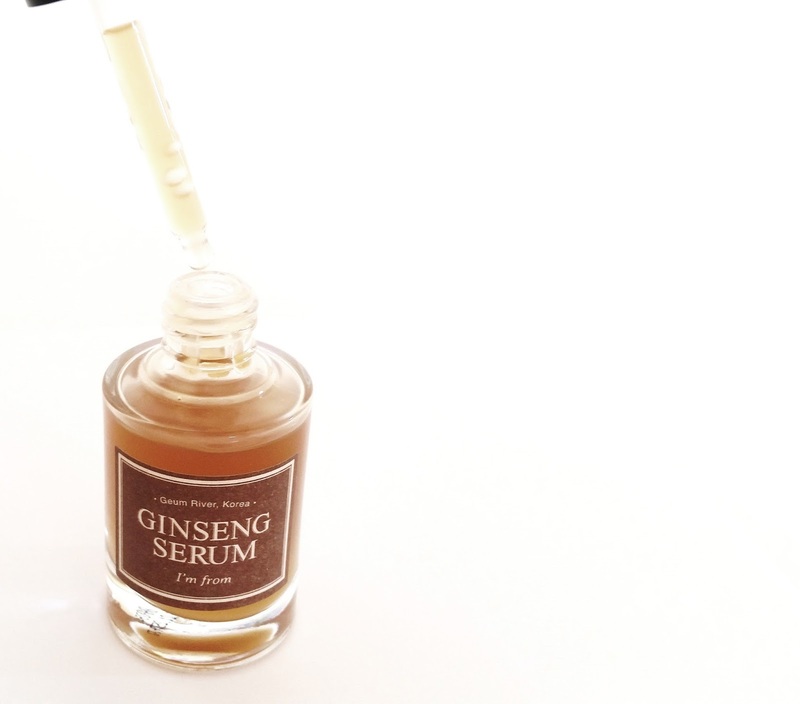 Aside from ginseng, this serum also includes other nourishing ingredients such as green tea, licorice, peony root, and rhubarb root to help boost its skincare effects. To Use: Cleanse the skin and apply toner. Take an adequate amount and apply it evenly on your face. Gently pat the serum in with the palm of your hands. The heat from your hands will also help with absorption. 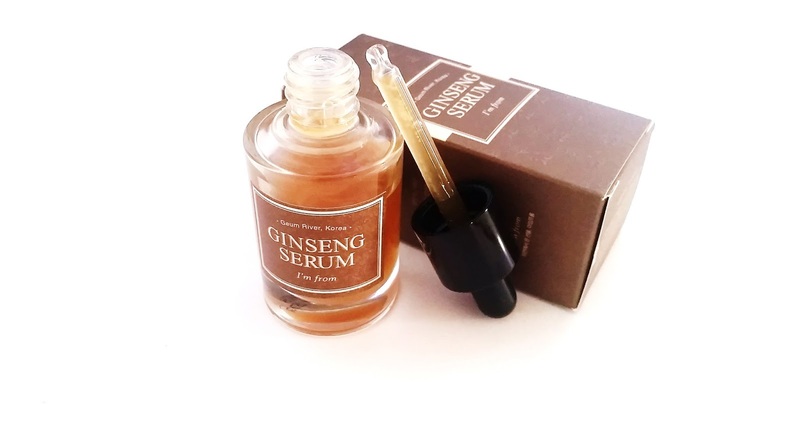 This Ginseng Serum can be used both morning and night. Ingredients: Water, Red Ginseng Extract, Butylene Glycol, Betaine, 1,2-Hexanediol, Camellia Sinensis Leaf Extract, Glycerin, Panax Ginseng Seed Oil, Glycyrrhiza Uralensis (Licorice) Root Extract, Paeonia Albiflora Root Extract, Angelica Gigas Root Extract, Rheum Palmatum Root Extract, Angelica Pubescens Root Extract, Schizonepeta Tenuifolia Extract, Phellodendron Amurense Bark Extract, Hydroxyethylcellulose, Cyclopentasiloxane, Dimethiconol, Bis-PEG-18 Methyl Ether Dimethyl Silane, Ethoxydiglycol, Acrylates/C10-30 Alkyl Acrylate Crosspolymer, Tromethamine, PEG-60 Hydrogenated Castor Oil, Ethylhexylglycerin, Hydrolyzed Glycosaminoglycans, Hyaluronic Acid, Glyceryl Polyacrylate, Adenosine, Disodium EDTA, Fragrance. Ingredient Spotlight: The star ingredient in this serum is, of course, the ginseng. Specifically the Red Ginseng which is from Geumsan County and it has a history of 1500 years. Geumsan County has been evaluated as an ideal location to cultivate high quality ginseng due to its natural environment. Ginseng harvested in Geumsan often contains about 30 saponins (including ginsenoside), doubling that of ginseng harvested elsewhere which usually only contain 13 to 15 kinds of saponins. 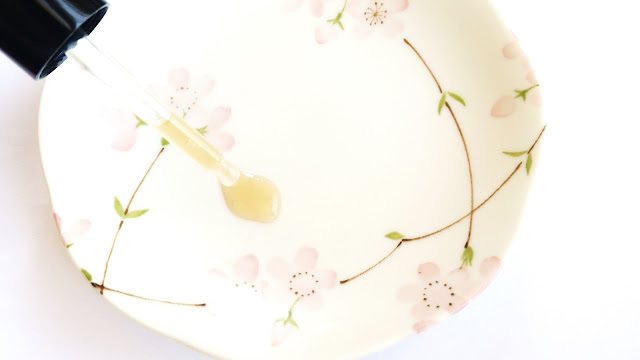 This Red Ginseng extract has also been six years in the making, as the process of making ginseng into ginseng extract is meticulous and everything from temperature to time and pressure needs to be carefully overseen to ensure the best quality. Ginseng is a popular anti-aging ingredient due to its ability to enhance blood circulation and increase production of new cells. It also contains antioxidants and anti-inflammatory agents to detoxify the skin and heal skin damages. This serum also includes panax ginseng seed oil, which helps to boost the skincare benefits the red ginseng has to offer. Packaging: Like all I'm From products, the box packaging design is clean and filled with information about the product. The Ginseng Serum comes in a brown box (shown above). Inside the box, you will find the serum stored in a clear glass dropper bottle (see image below). Scent: Fragrance has been added to the product but there is still a fairly strong hint of ginseng as well. The added fragrance has a sweet floral like scent to me. I am okay with the combination of the two scents but I feel like it can be strong or off-putting for some people. Color: This Ginseng serum has a golden bronze like color. Texture: The consistency of this serum is fluid but not watery. It is kind of similar to the Innisfree Green Tea serum but it has a slightly slick feel upon application. I find the serum absorbs really quickly when applied in a thin layer and it leaves a satin feel on the skin. However, if you apply too thick of a layer, it can leave a sticky feeling behind and can take some time to absorb. Helen's Thoughts: One month in with this serum and I can already see some improvements. However, I am not head over heels in love with this Ginseng Serum and I will explain why later on. But first, I want to point out the goods this serum offers. The most noticeable improvement my skin has had with this serum is its brightening effects. I was surprised by it, considering this is more of an anti-aging serum and I was expecting anti-aging effects to be on top not brightening. However, I do not mind it as I love the brighter complexion and healthy glow it has given my skin. Another improvement stems from the serum's nourishing ingredients to care for the skin and I definitely see and feel that effect. My skin feels rejuvenated and refreshed as the antioxidants works its magic to purify my skin while the ingredients replenishes the nutrients. It is a great combo and I have no complaints here. Aside from that, this Ginseng Serum has also managed to smooth, soften, and plump my skin. This is likely due to its ability to improve skin's elasticity, but I cannot say exactly how much it has improved as it is hard to measure. However, since the improvement is noticeable, I believe it is still doing a decent job as promised. Alright, now, let's talk about the anti-aging benefits in this serum. This is the part that left me with mixed feelings and it is the reason why I am not completely in love with this serum despite all the amazing benefits I just talked about above. 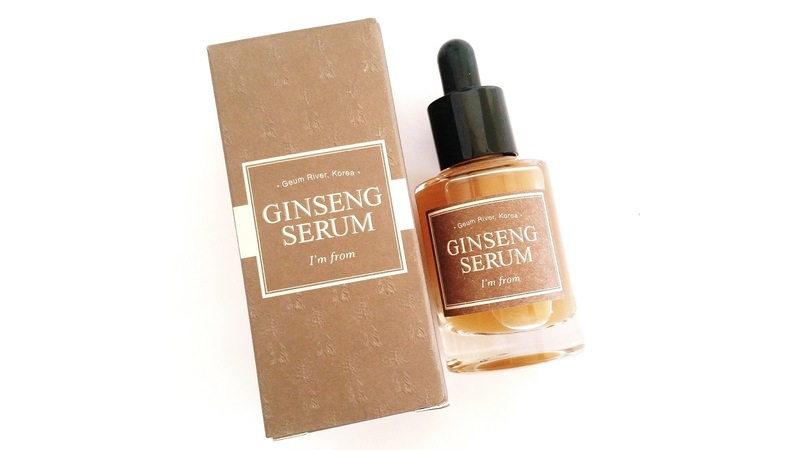 The Ginseng serum offers some anti-aging care but from my experience so far, it does not offer as much as it promise. One of the main claims that attracted my attention was its promise for wrinkle improvement. However, I have seen no improvements in that area over my month long use. I did notice some improvements with my fine lines which I think is really what this serum is good for. But if that is the case than the branding department made a serious wording error. Wrinkles and fine lines are different. They are sometimes mistakenly used interchangeably but they should not be. Fine lines are much easier to minimize than wrinkles but even then it took almost three weeks to see some noticeable results with this serum and they are not completely gone either. Which means it will take more time to see better results. Final Thoughts: I might not love this serum but I do like it. It does not offer the amount of anti-aging care it claims but it still offers some. I think this serum would be great for those who wants to minimize their fine lines. But if it is wrinkle care you are looking for (and yes there is a difference between the two), than this serum would not be your best choice. However, I still like this serum due to the other benefits I shared above such as its brightening properties. Would I purchase it in the future? As an anti-aging serum, no but as a brightening and nourishing serum, yes. Do I think this is worth a try? If wrinkles are your worries and you do not care for the other benefits this serum offers, than I would say to try something else. However, if fine lines are your worries and you like the other benefits definitely give this serum a shot. It is worth it. 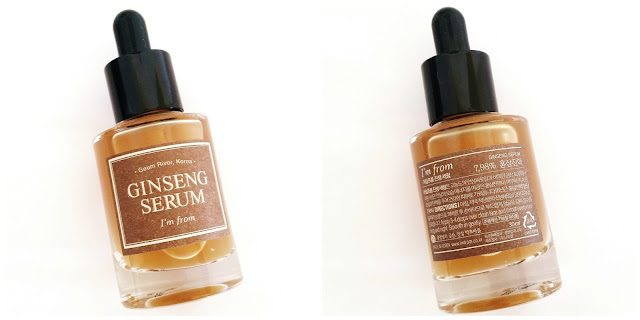 Have you tried any ginseng serums before? If you are new to Wishtrend, you can use the referral code (064924203) for a $5 off voucher. Disclaimer: This product was sent to us for review purposes. All opinions are honest and our own. This post contains some affiliate links, for more information check out the full disclaimer.